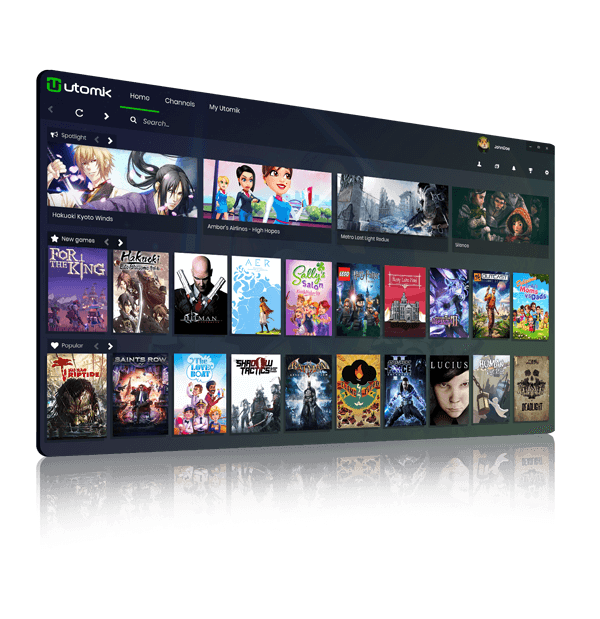 Utomik is your unlimited PC gaming subscription. Play games fast, after downloading a small part. Requires a computer with Windows 7 or higher, and an internet connection. Start playing after downloading a small part. No installations. No patching. No distractions. For lovers of AAA Classics, indie, casual, retro, adventure and kids games. We've partnered up up with Crunchyroll! Crunchy-who?! Read all about it here. Utomik is a proud partner of Make-a-Wish®! Together we're on a mission to grant as many wishes as possible. You can help too! Utomik is not live in your country yet. Sign up to get notified when we go live in your country.